In the fall of 1966, the previous incarnation of the Devilles cut a few sides at Chips (nicknamed for his predilection with gambling) Moman’s American Sound Studio. The records received some regional play but never broke nationally. With some bookings, the new group developed some chops and was ready to return to the studio in April of 1967. Chips Moman was a guitar prodigy growing up in Georgia who hitchhiked to Memphis at the age of 15. He toured with Dorsey and Johnny Burnette, worked with Brenda Lee and replaced James Burton when Rick Nelson needed a lead guitar player. He also worked at Stax Records as a producer on the Mar-Kays’ hit, Last Night. Breaking with Stax after a dispute about money, he founded American Sound Studio. Moman met Dan Penn, a songwriter from Alabama who wrote Conway Twitty’s hit, Is A Bluebird Blue. Penn was employed at FAME Studios in Muscle Shoals as an engineer but expressed his desire to produce to Moman, who encouraged him to move to Memphis so the two could collaborate and Penn could produce cuts at American. Moman and Penn put their songwriting talents together and wrote Do Right Woman, Do Right Man for Aretha Franklin. Enter Wayne Carson Thompson. At the studio, the Devilles expected Chip to be there. Instead they got Dan—dressed in Bermuda shorts, a T-shirt with one sleeve rolled up around a pack of Luckies. Not impressed, the group thought they were getting Chip who had produced The Gentrys’ Keep On Dancing in this very studio. The tension eased as Penn set the group through the paces. 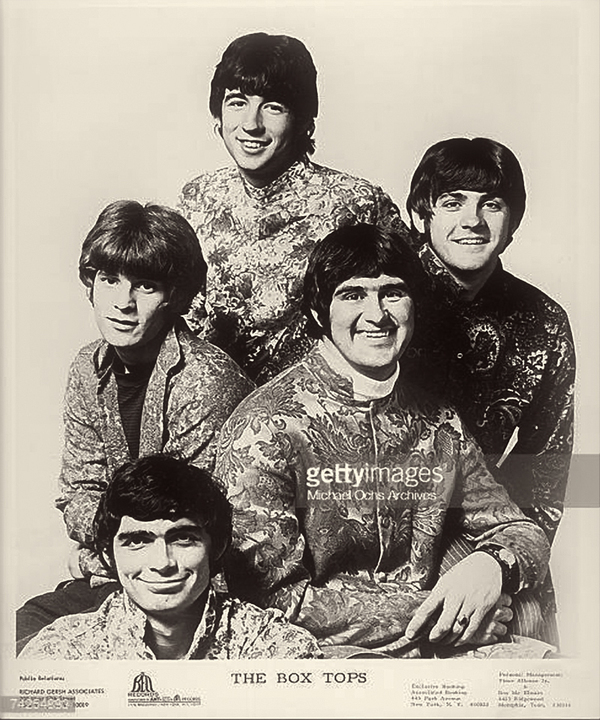 The Box Tops around 1967. L-R: John Evans, Bill Cunningham, Alex Chilton, Gary Talley, Danny Smythe. Photo courtesy of Michael Ochs Archive/Getty Images. The Box Tops around 1968. L-R Gary Talley, Alex Chilton, Bill Cunningham, Tom Boggs and Rick Allen. The next step for producer Dan was to find a label to release it. Larry Uttal, who ran New York-based Bell Records, stopped by the studio to hear the latest tracks by Bell artists, James and Bobby Purify. Dan played The Letter for Uttal, who immediately wanted it for his label. A deal was struck with two conditions imposed by Uttal: First, he needed a B-Side. Second, a new name for the group as the Devilles was already in use. Richard was replaced by nineteen-year-old guitarist Gary Talley and Russ with Bill Cunningham, a bassist/keyboard player who was touring with Ronny & The Daytonas and The Hombres. With the personnel moves complete, Mala Records, a Bell subsidiary released The Letter. 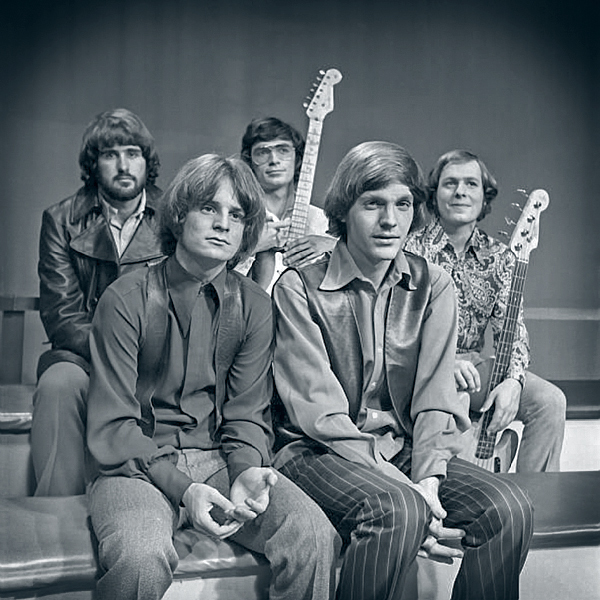 The Box Tops prepare for a TV appearance in New York on October 14, 1968. L-R Tom Boggs, Alex Chilton, Gary Talley, Rick Allen and Harold Cloud. The Box Tops followed with Neon Rainbow. John Evans and Danny Smythe, fed up with touring, bickering and being snubbed on the recordings, decided to quit the group. Rick Allen and Thomas Boggs were hired to replace them. 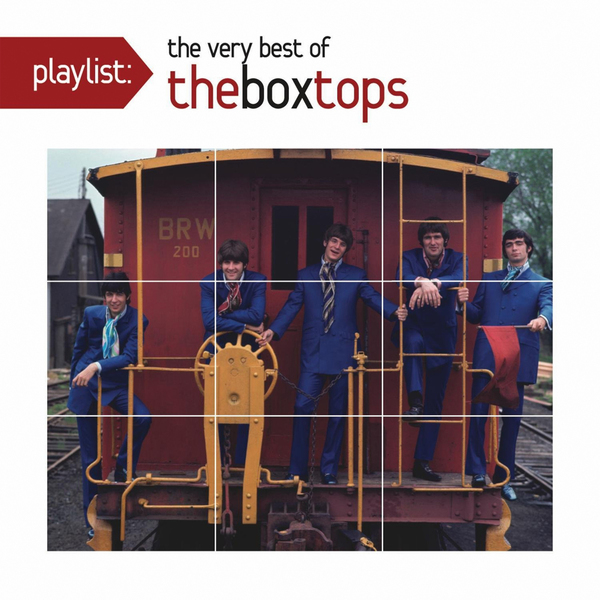 The next hit, Cry Like A Baby, was the last Box Tops single to hit the top ten. Of the next seven chart hits released by Mala/Bell, only Soul Deep placed in the top twenty. 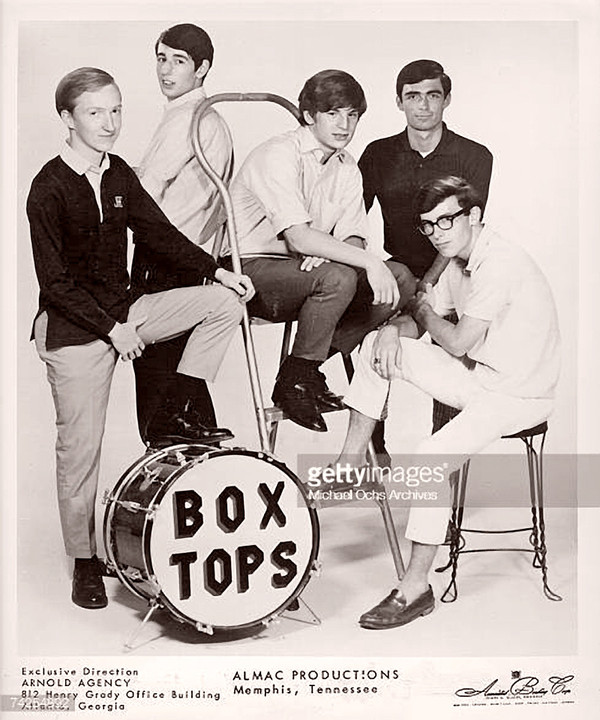 In 1970, the Box Tops broke up. There were reunions with various members through 2009. On March 17, 2010, Alex Chilton died of a heart attack. On July 6, 2016, Danny Smythe died of unknown causes. In 2017, the 50th anniversary of The Letter, Bill Cunningham and Gary Talley joined the Happy Together Tour with Flo and Eddie of The Turtles, Chuck Negron of Three Dog Night, The Association, The Cowsills, and Ron Dante of The Archies performing sold out shows across the USA. Entertainment Tonight remembered The Box Tops on the series "The Making Of A Hit." As advertised...live from The Bitter End! 1) Bronson, Fred, The Billboard Book Of Number One Hits, 1985, Page 230. 2) George-Warren, Holly. A Man Called Destruction, 2014, Page 82. 7) McKeen, William, Rock and Roll Is Here to Stay: An Anthology (1st edition), 2000, Pages 495-496. 8) McNutt, Randy, Guitar Towns: A Journey to the Crossroads of Rock 'n' Roll, (1st US edition), Pages 104–105. 9) Jones, Roben, Memphis Boys: The Story of American Studios, 2010, Pages 78-81. 10) George-Warren, Holly. A Man Called Destruction, 2014, Page 94. 15) Whitburn, Joel, Billboard Top Pop Singles 1955-2002, Pages 77-78. 17) George-Warren, Holly. A Man Called Destruction, 2014, Page 115. 19) Whitburn, Joel, Top Pop Albums 1955-2001, Page 95. 20) George-Warren, Holly. A Man Called Destruction, 2014, Page 116. 21) Entertainment Tonight, YouTube interview, Link.